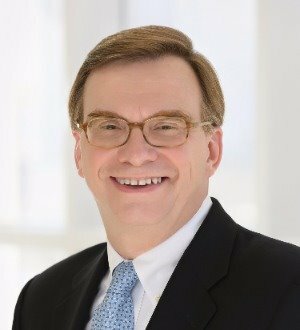 John Beisner is the leader of Skadden’s Mass Torts, Insurance and Consumer Litigation Group. He focuses on the defense of purported class actions, mass tort matters and other complex civil litigation in both federal and state courts. He also regularly handles appellate litigations and has appeared in matters before the U.S. Supreme Court. Over the past 25 years, he has defended major U.S. and international corporations in more than 600 purported class actions filed in federal courts and in 40 state courts at both the trial and appellate levels. Those class actions have involved a wide variety of subjects, including antitrust/unfair competition, consumer fraud, RICO, ERISA, employment discrimination, environmental issues, product-related matters and securities. He also has handled numerous matters before the Judicial Panel on multidistrict litigation, as well as proceedings before various federal and state administrative agencies, particularly the National Highway Traffic Safety Administration and the Consumer Product Safety Commission. Mr. Beisner has advised on numerous high-visibility corporate crisis situations, including congressional hearings, federal agency investigations, state attorneys general inquiries and General Accounting Office reviews. Among others, he represented Merck in its Vioxx litigation. He also negotiated a settlement with state attorneys general regarding the Countrywide Finance/Bank of America mortgage lending practices investigation, resulting in a creative loan modification program intended to help more than 400,000 families maintain ownership of their homes. He was named “Litigator of the Week” by The American Lawyer for his role in this case. Mr. Beisner is a frequent writer and lecturer on class action and complex litigation issues. In 2013, he received the Burton Award for Legal Achievement, which recognizes excellence in legal scholarship. Mr. Beisner also has been an active participant in litigation reform initiatives before Congress, state legislatures and judicial committees. He has testified numerous times on class action and claims aggregation issues before the U.S. Senate and House Judiciary Committees (particularly with respect to the Class Action Fairness Act of 2005) and before state legislative committees. For his integral role in crafting the Class Action Fairness Act, Mr. Beisner was recognized with the 2011 Research and Policy Award by The U.S. Chamber Institute for Legal Reform. A list of the numerous published federal and state court decisions in which Mr. Beisner has played a role is available on request.